Will Merrill Lynch and Wells Fargo Advisors Exit Protocol Just Days Apart? Should You Sign the Merrill Lynch Client Transition Program (CTP)? Some WFA advisors would end a recruiting call even if it was coming from Warren Buffet himself. They find themselves happy with their environment, management, and overall situation. We wish this happiness for all advisors. However, sometimes it simply isn’t possible without finding a more suitably fit firm or model. Although, most WFA advisors are willing to weather the storm in their current situation, each has an individual breaking point based on their personal career in relation with brand value and culture. Each month, Wells Fargo’s negative brand trajectory causes more advisors to reach this point. Advisorbox helps advisors who are discontent at their current firm find a more suitably fit firm or model. 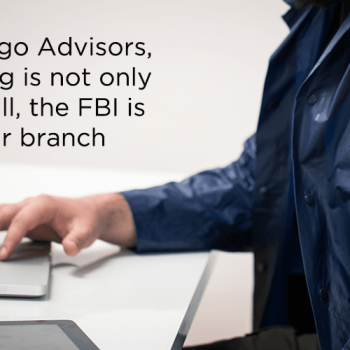 The Justice Department, the SEC, and the FBI are now investigating Wells Fargo Advisors and the wealth management unit. WFA is no longer a spectator in the slow demolition of the Wells Fargo brand. According to the Harris Poll, Wells Fargo has lost its prestige with 2017 holding its largest plummet in eighteen years and received the highest “brand critical” negative score. The Trump Administration now has a better brand reputation than Wells Fargo. The enormity and duration of Wells Fargo defrauding over four million customers will have a long-term effect. It’s hard to quantify how many potential client prospects have been and will be lost due to the prolonged public scorn. Despite the consequences of the last seventeen months, the worst is yet to come. Wells Fargo advisors that feel the next three years are critical in their career path, growth goals, or succession plans will have to swim against the dense current of brand negativity if they chose to remain at WFA. WFA is still under Protocol recruiting rules for the time being, and with its brand in crisis mode, clients don’t question advisors that decide to move. In the last seventeen months, more Wells Fargo advisors have moved to a new firm or model than any other wirehouse… and by a wide margin. Being poised to move is the smart play for WFA advisors. Maybe you don’t feel the Wells Fargo brand has reached the point of no return for you yet, but it is important to prepare for that outcome. You may suspect that Merrill Lynch will pull out of protocol at some point this year. If this is the case, Wells Fargo will likely follow. It is important to remember that Morgan Stanley gave their advisors a four-day notice when they left protocol. Advisors that were not poised to leave weren’t able to take advantage of making a quick exit under protocol. Be proactive and call Advisorbox just to see what options we have for you. Most advisors are surprised by the depth of options and choices available. An alternate option might be more compelling to you than staying no matter your current status at WFA. Starting the process with Advisorbox now allows you to be poised to move if the Wells Fargo brand continues its downward spiral or exits protocol at a moment’s notice. It is not just an added safety measure, but what we believe to be a responsibility owed to your career and clients. If all this brand damage has caused too much brain damage for your liking, or you feel life is too short to prolong working in a scenario where you’re not getting the professional fulfillment you desire, then give us a call just to see what we have available for you. Helping wirehouse advisors break out of wirehouses into other traditional firms or independence when they feel they are not at the right place at the right time is a large part of what we do at Advisorbox. Advisorbox can share, compare, and consult on the various industry options based on your goals, preferences, and situation. There typically are more than one “right” option so nuances, styles, and personality synergy with the firms or models to be considered become even more important to evaluate in addition to varying value props and locations. The traditional and/ or independent options to consider will be dependent on your business and client types, culture preference, platform needs, and other aspects of your unique situation. For many of the advisors we work with, the list of options narrows quickly. 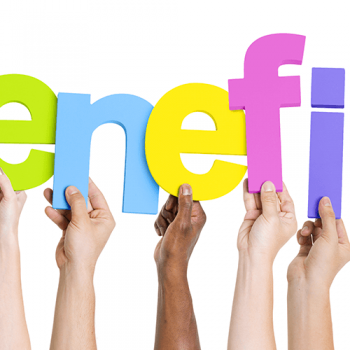 There is just as good compensation (and often times higher) available elsewhere including huge recruiting bonuses and full transition support for multiple top-tier options. Additionally, we often get deferred comp matched. We are unbiased in platform and models and remain instrumental in maximizing the package offered for any option you do select to join. Call us to have a confidential conversation at 800-685-2384. © 2019 Advisorbox LLC. All rights reserved.